POP and SMTP are the two protocols which take care of the email flow (send and receive respectively) on the internet. SMTP (“Simple Mail Transfer Protocol”) is used for sending and delivering from a client to a server via port 25: it’s the outgoing server. On the contrary, POP (“Post Office Protocol”) allows the user to pick up the message and download it into his own inbox: it’s the incoming server. The latest version of the Post Office Protocol is named POP3, and it’s been used since 1996; it uses port 110. Below you find a list of the SMTP and POP/POP3 names for the most common email providers. 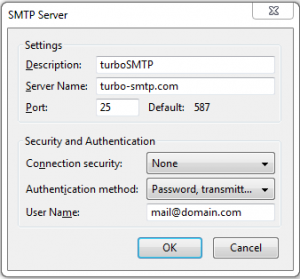 Of course, if you need to send a bulk email or an email campaign you should opt for a professional server like turboSMTP. Matter of fact, while “normal” SMTPs are based on widely shared IPs (affecting in a negative way your delivery rate), a dedicated outgoing service will rely only on controlled ones. Ensuring that all your messages reach their destination.